Tired of Acne? Anna Aesthetics has the best Acne Solution for you! 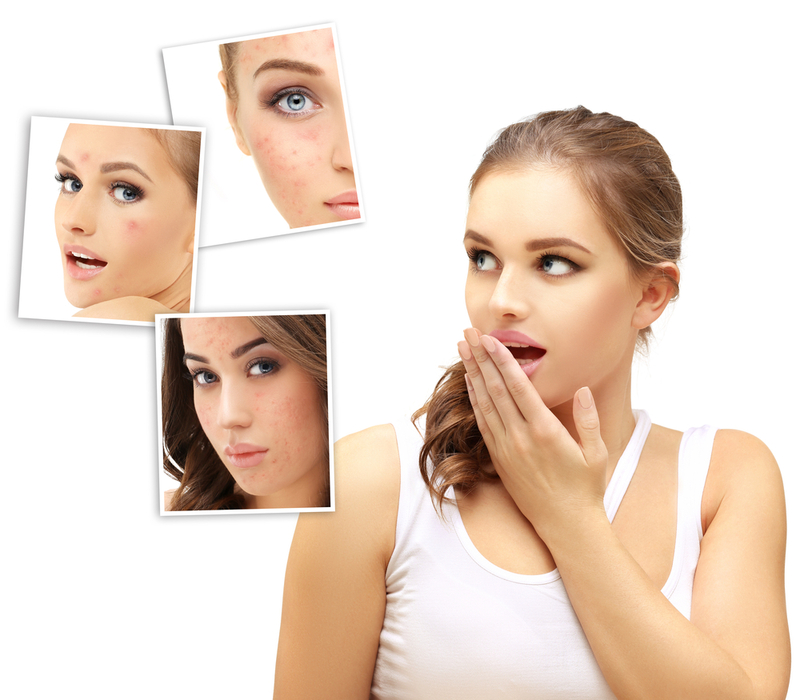 Acne is a skin condition that has stood the test of time. The majority amongst us has had to deal with this condition at one or the other point in our lives. Acne results when the pores on our skin get clogged with oils and accompanying dust and impurities. While the cause of this skin condition is still relatively unknown, there seems to be an underlying genetic as well as hormonal imbalance involving testosterone resulting in these breakouts. The most acne prone areas of the body include the face, back, neck, and chest. Acne results when our pores become clogged with oils released from our skin along with atmospheric impurities. Impurities irritate the skin and thus induce an inflammatory reaction on the surface of the skin. Meanwhile, bacteria also manage to sag this opportunity and grow inside these clogged pores. These two subsequent processes result in acne lesions that can range from a small unnoticeable white head or black head to a large and extremely painful cyst or nodule that leaves a scar upon rupture. Acne pimples and skin irritation share a directly proportional relationship. Consequently, our skin is healthiest when it is in balance. The less exposure your skin has to any irritation, the lesser are your chances of experiencing any subsequent breakouts. Coming down to possible skin irritants, our skin can be very sensitive. Therefore, irritation can be caused by anything ranging from sun exposure, dryness, shaving, and pore-clogging makeup to prolonged contact of any substance with the skin, scratching, or aggressive rubbing. The trick is to keep your skin away from such irritating products and environmental conditions and taking necessary precautions through proper skincare. 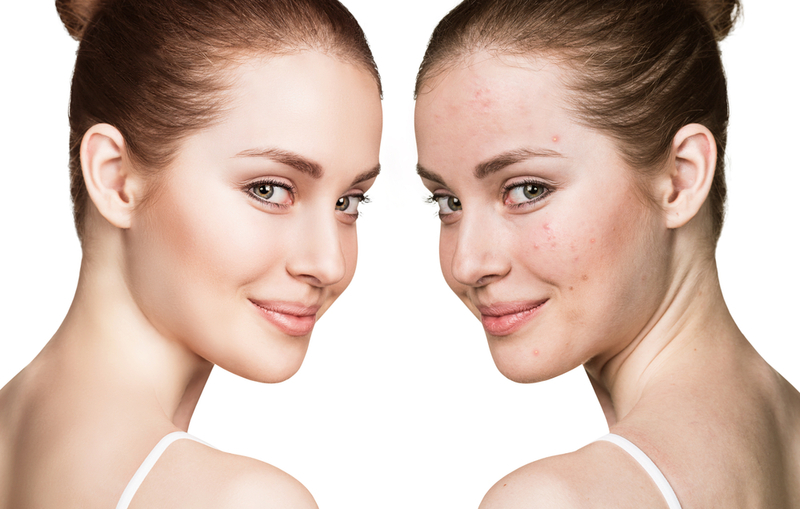 Anna Esthetics, Tampa, caters to all your acne prone skin needs by providing you with the best acne treating high frequency facials that will help you move one step closer to clear, spotless, flawless skin. 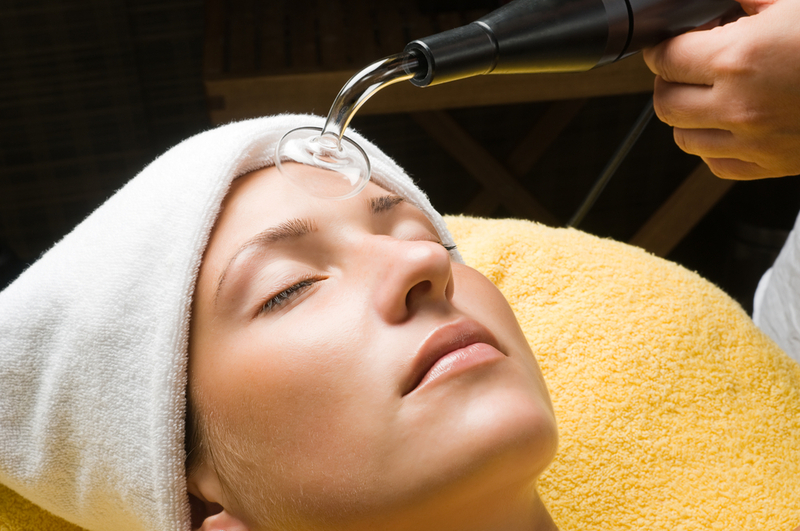 High frequency facials are a recent breakthrough in the world of cosmetic dermatology and skin care. This new and innovative treatment is directed towards treating stubborn acne. This treatment also aids with anti-aging, reducing enlarged pores, decongesting puffy eyes, fading dark under eye circles, as well as replenishing the scalp by nourishing the hair follicles to attain healthier hair growth. This treatment utilizes a high frequency current to generate thermal heating and high oscillation rate thereby giving birth to a vital skin care tool that is now extensively used in clinics, salons, as well as at home. High frequency facial treatment involves Tesla current which is frequently utilized in various skin and hair care procedures. The fast oscillation speed produces heat without instigating any muscular contractions that result in an invigorating and comforting experience that helps rejuvenate the skin. 100% safe, gentle, and non-intrusive, this acne treatment tool owing to its holistic electric current generating oscillation, helps with skin repair as well as reconstruction. Not only does a high frequency electric current warm the skin tissue gently but it also contributes to improved blood circulation to the skin. Increased blood circulation allows the small blood vessels and muscles to actively flush out any toxins. High frequency facials also help hydrate the skin and provide it with active nutrients that instigate the skin to greater amounts of elastin and collagen that help immensely with skin texture and condition. Here are some of the benefits of high frequency acne treatment. Reduces dark under eye circles and helps with soothe puffy eyes. The current generated from the high frequency treatment helps repair the effects of damaged and ruptured capillaries in the under eye area that thus result in dark circles. Improved circulation allows better penetration of any product applied thereby consequently fading away the dark circles. Treats existing acne and prevent future episodes. The bactericidal nature of this treatment helps kill any acne inducing bacteria that are facilitating breakouts and pimples thereby drastically reducing chances of any further breakouts. When used in conjunction with acne medication, it cleanses skin of any bacteria and toxins that cause acne and makes the skin more receptive to treatment. Improves the appearance of cellulite. Owing to the oxygen molecule producing technology utilized in this treatment, blood circulation is enhanced which in turn exfoliates the skin and instigates healthy cell metabolism. These changes in cellulite allow the skin to appear firmer, smoother, and more youthful. Reduces enlarged pores and blackheads. The high frequency current produces a spray of oxygen molecules that clean out all the debris and toxins, control sebum production and help soften the skin, which eliminates the blackheads and reduced the size of the enlarged pores. Anna Esthetics offers the most authentic solutions for all your acne prone skin needs. These facials utilize the best and latest technology and are priced very reasonably. Each session lasts for approximately an hour and ensures that you walk out of the facility with calmer, firmer, and more youthful looking skin. Each facial starts off with basic skin cleansing and toning. This is followed by careful analysis of each client’s skin in order to determine the individual skin type and need. After careful analysis, the treatment proceeds with: steaming, exfoliation, Salycilic treatment, and a soothing mask application directed specifically towards targeting acne. Once removed, the High Frequency Treatment is started to stimulate blood circulation, skin oxygenation and increased cell metabolism. Once complete, an acne serum is applied followed by moisturizer and a final SPF application. This cosmetic treatment can prove to be a gentle and safe solution for acne prone skin. Long-lasting effects can be achieved by undergoing the treatment on a regular basis along with a simple prescribed salicylic acid medicine application. Visit Anna Esthetics, Tampa to move a step closer to attaining flawless, clear, smooth, supple, and more youthful looking skin.